Okay, this one must have one heck of a story behind it. 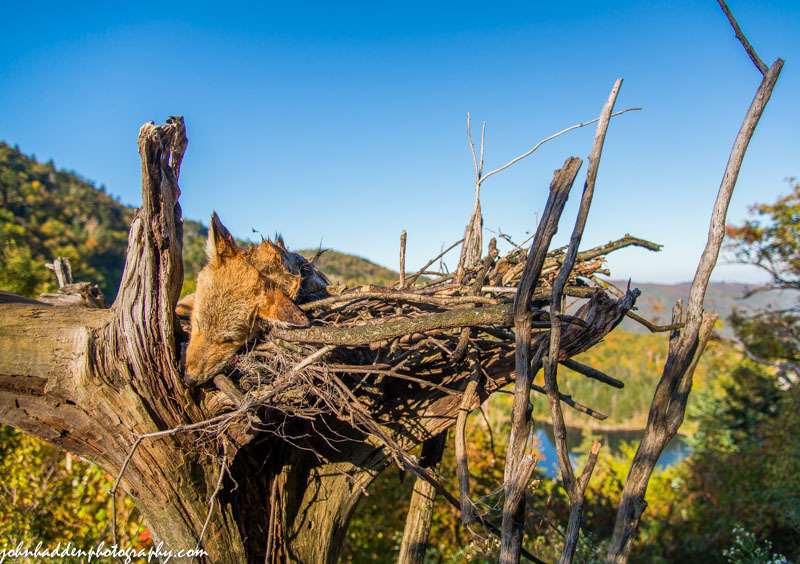 I drove up to the Appalachian Gap yesterday morning to check out the fall foliage and came across this. Off on the edge of the parking area at the top of the Gap, someone had tied a large stump upside down to the end of the guard rail. They’d build a nest of branches and twigs and placed a dead coyote in this “bier”. It hasn’t been there long as there wasn’t much in the way of rot or scavenger impact yet. My imagination roams: perhaps someone hit the coyote with their car and, in a pang of remorse, built this bier to return the coyote to the sky? I certainly resonate with that impulse. Does anyone out there know the backstory on this? Fascinating! Nikon D600, Nikon 24-120mm lens @ 24mm, ISO 400, f/4, 1/2000″ exposure. 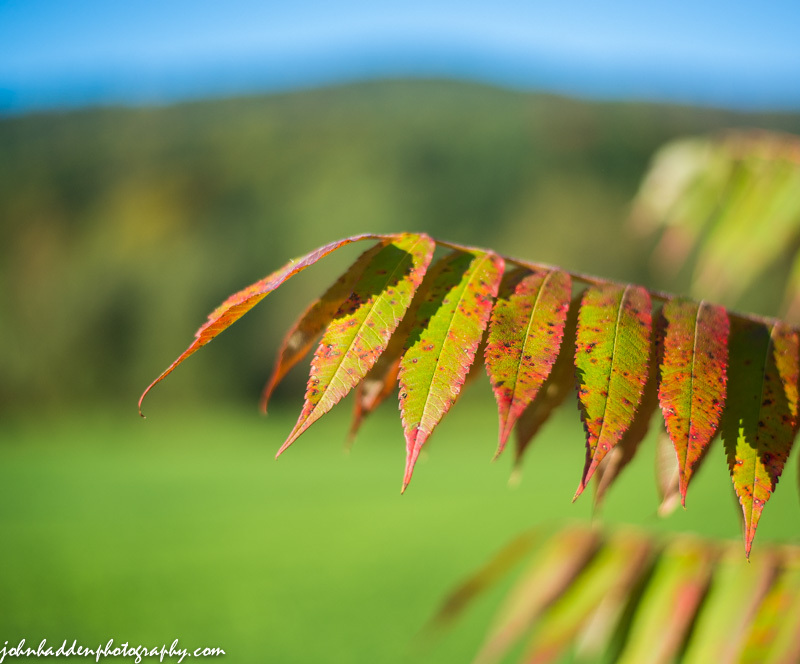 The sumac is brightening fast. This branch is along the Main Road in Huntington Center. Nikon D600, Nikon 50mm lens, ISO 125, f/1.8, 1/1600″ exposure. 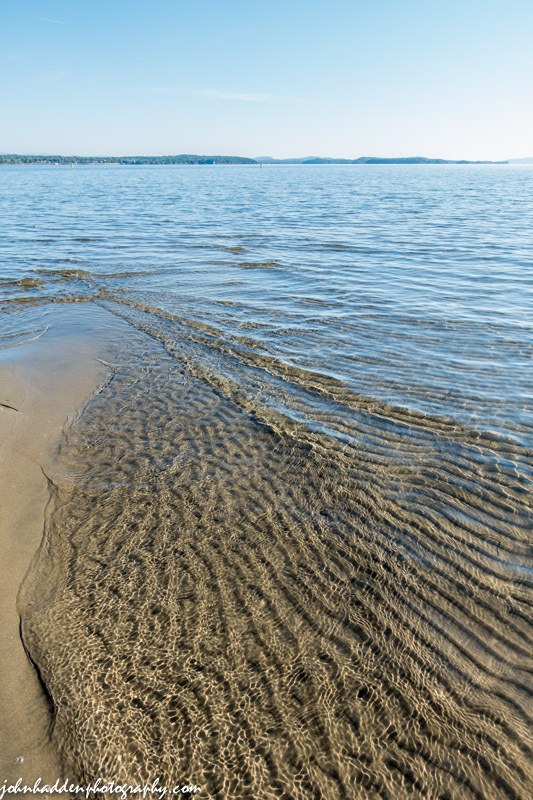 The wave action at North Beach in Burlington create ripples in the sand. 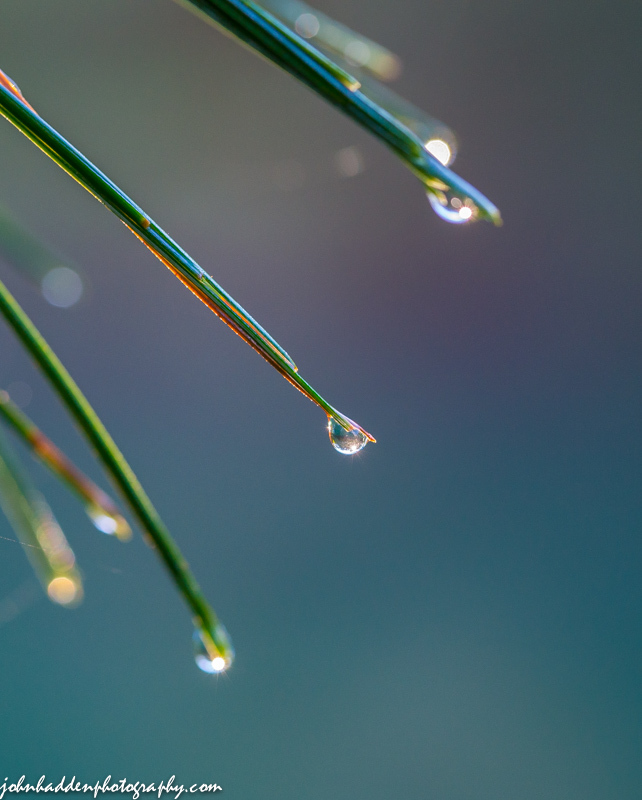 Three shimmering drops of rain line up along an iris leaf. Nikon D600, Sigma 105mm macro lens, ISO 800, f/16, 1/200″ exposure. 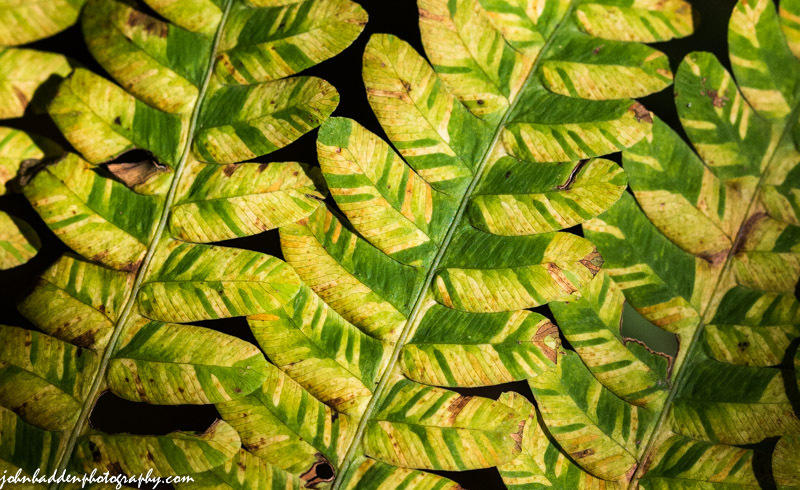 Ferns take on variegated coloration as they head towards fall. Nikon D600, Sigma 105mm lens, ISO 1250, f/7.1, 1/1250″ exposure. Fall is on its way. 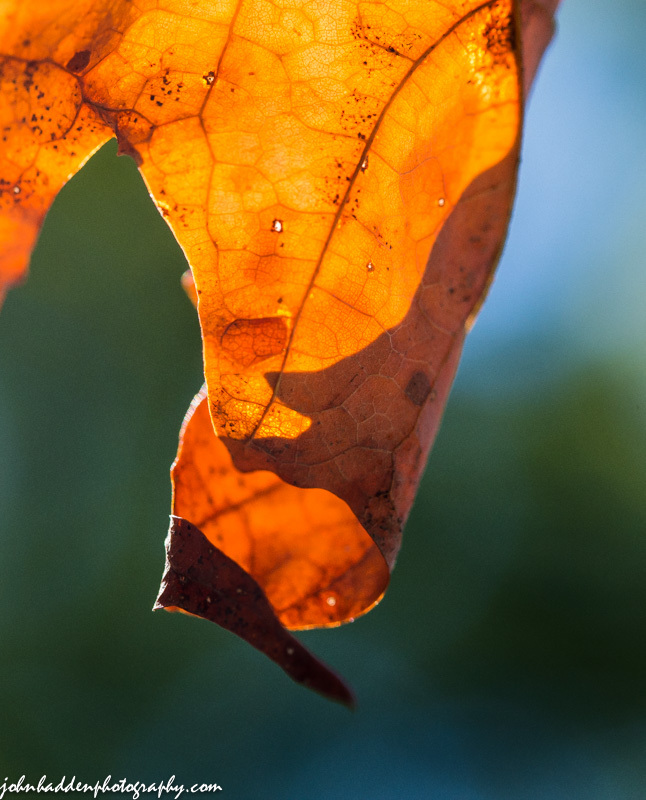 This maple leaf was on a broken branch along the road and backlit by the morning sun. I like the way the leaf’s veins are visible. 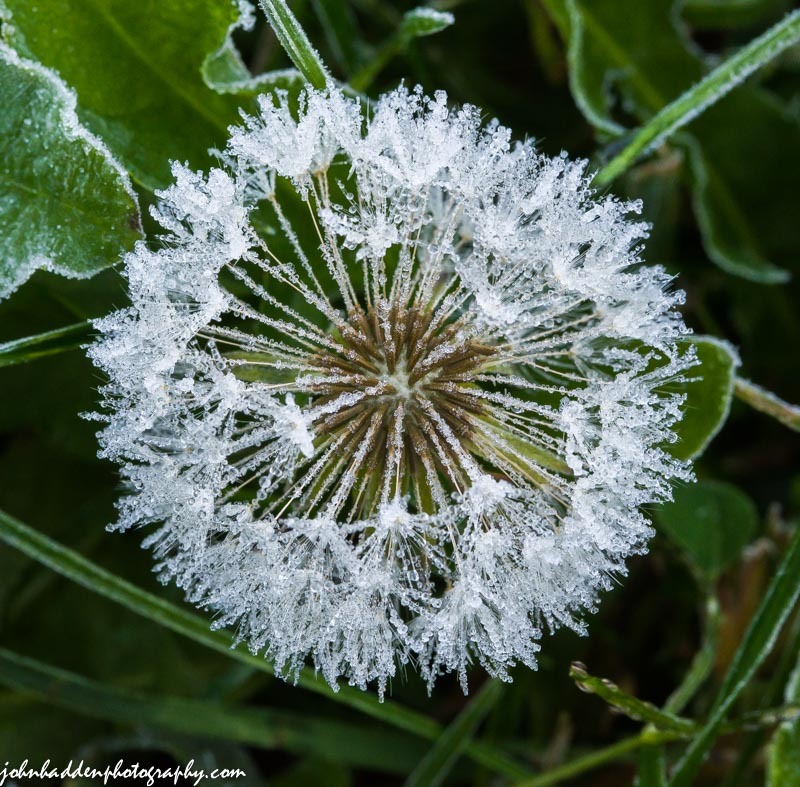 Nikon D600, Sigma 105mm macro lens, ISO 800, f/8, 1/400″ exposure. 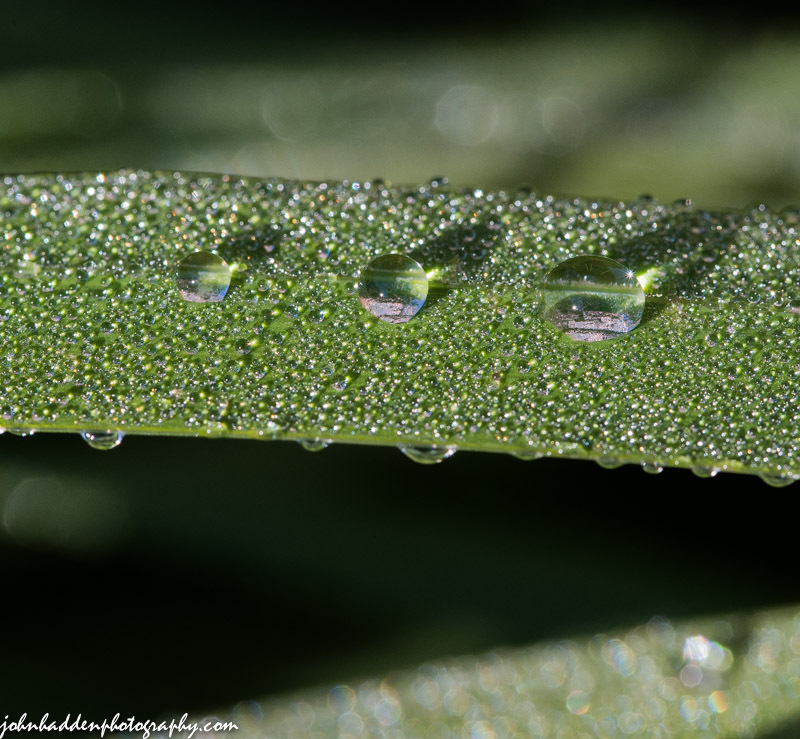 Sparkling dew drops clinging to white pine needles caught my eye this morning out by the pond. Nikon D600, Sigma 105mm macro lens, ISO 800, f/8, 1/100″ exposure.